The skin on your lips is constantly moisturised from within by hyaluronic acid, a naturally occurring sugar. However, the skin loses hyaluronic acid over time, and lines begin to appear around the mouth. Lip filler glasgow at Cloud Nine Clinic can help. The loss of hyaluronic acid leads to the appearance of wrinkles and the loss of fullness to our lips. As our lips become thinner, they lose volume and lack definition. We can develop vertical, or "marionette", lines around the mouth, which can form at the corners going down to the chin or we can even develop a droop to the corners of the mouth, giving your lips a sad appearance. HOW DOES JUVADERM® LIP FILLER WORK? Juvaderm® VOLBELLA® with Lidocaine is the latest advancement in the Juvaderm® range of facial fillers, developed specifically for your lips and mouth area. It is a smooth gel that is injected by your physician, using an ultra-fine needle. It has been specifically developed as a smooth gel to give a soft, natural feel. The gel fills in lip lines and wrinkles while the hyaluronic acid within attracts and retains moisture, so results can last up to a year. Juvaderm® adds definition to the mouth and the outline of the face. 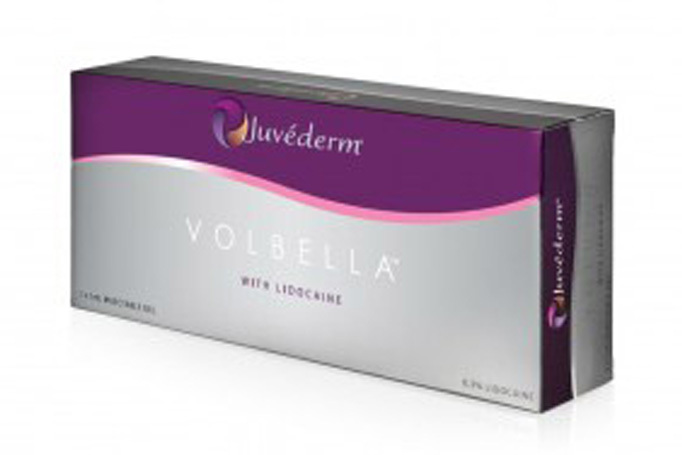 A study showed that 98% of people who had Juvaderm® VOLBELLA® with Lidocaine reported that their lip appearance goals had been achieved; with results lasting up to 12 months. The gallery below shows some of the ways in which Lip Fillers have delivered outstanding results for our patients. Please slide the handle on the image below to highlight the benefits of choosing Juvederm Dermal Lip Fillers. How do I know that I can trust Juvederm to improve my smile? A recent study showed that 98% of those who had lip-filler treatment with Juvaderm® VOLBELLA® reported that their lip appearance goals have been achieved! It has been specially formulated with VYCROSSâ„¢ technology to deliver a natural look and feel in the skin and help avoid your lips looking unnatural. What should I expect before treatment? Your physician will have an in-depth consultation with you to understand your needs and what facial features you would like to enhance. They will explain all the options to make sure that your Juvaderm® treatment totally satisfies your expectations. What should I do after Treatment? Your physician will advise you on your aftercare. You may be advised to stop wearing makeup for up to 12 hours. You may also be told to avoid the sun, as well as saunas and steam rooms, for 2 weeks. Some people experience a little temporary tenderness, swelling or bruising around the injection sites. It is also recommended that you avoid additional treatments in the treated area for the next 7 days. The smooth consistency of the products in the JuvÃ©derm Ultra® and VYCROSSâ„¢ ranges allow your medical physician to administer them easily and smoothly. They also contain 0.3% Lidocaine to reduce injection pain for a more comfortable experience. Following a filler injection, you may experience slight redness, swelling, or bruising at the injected area. These effects should not last for more than a week. Remember, 12 hours after your procedure you can cover up any skin discoloration with makeup. My skin has noticeably sagged over the past few years and I had had enough so called around some clinics that I found online. I went to Cloud Nine in the end and was happy with the results. The doctor was very clear in what he was doing and calm so I felt relaxed. I got the lines from my nose to mouth filled with Juvederm (4 if I remember correctly). I got a small bruise from the injection but it was easy to cover and other than that the whole thing was quite painless and nothing to worry about. I like the way the lines have become less noticeable, smoother I suppose and I am booked to go back to have my lines above lip done next month. "The skin on your lips is constantly moisturised from within by hyaluronic acid, a naturally occurring sugar. However, the skin loses hyaluronic acid over time, and lines begin to appear around the mouth." Our experienced medical professionals offer professional botox injections, Juvederm Ultra dermal fillers and more at our modern clinic near to Glasgow City Centre beside Charing Cross in Glasgow West End. How much do your treatments cost? <How do I make an appointment? All botox injections, lip fillers and dermal fillers are administered using only genuine products at competitive prices. Ask about our loyalty scheme on botox injections, dermal fillers that lead to big savings on all treatments.